The other day we told you about the Minnesota Golden Gopher player that took a hit that made us all cringe. That hit while devastating at least appeared to be legal. The Badgers’ player that made the hit never left his feet when he hit him. Something must be in the water of whatever the Big Ten is giving their hockey players because another incident occurred during the Penn State-Michigan game from the other night. This time, the hit was dirty. 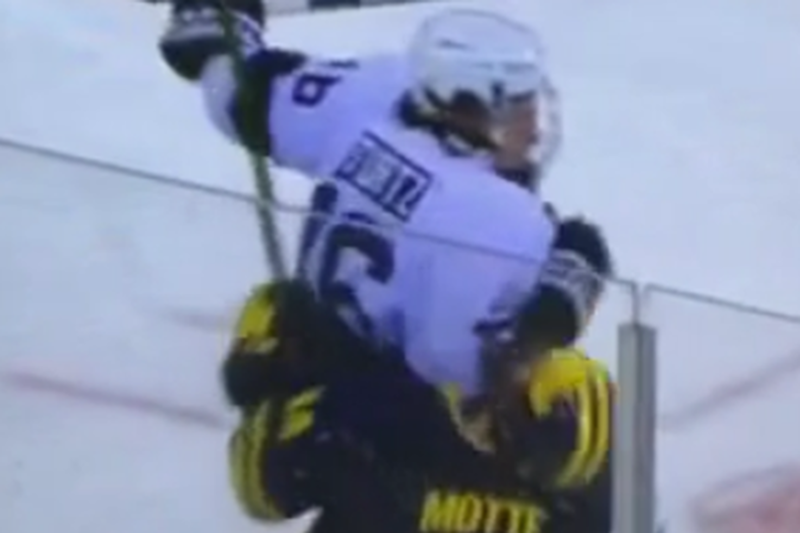 The Big Ten has announced a one-game suspension for Penn State’s Andrew Sturtz for an elbow delivered to the head of Michigan’s Tyler Motte on Saturday. Suspension is definitely deserved in this case considering Sturtz left his feet. That’s one of those dangerous hits that can really do harm to a player. You can even see Motte’s mouthguard come flying out as he hits the ground. Disgusting!